From the first sketch to the opening. 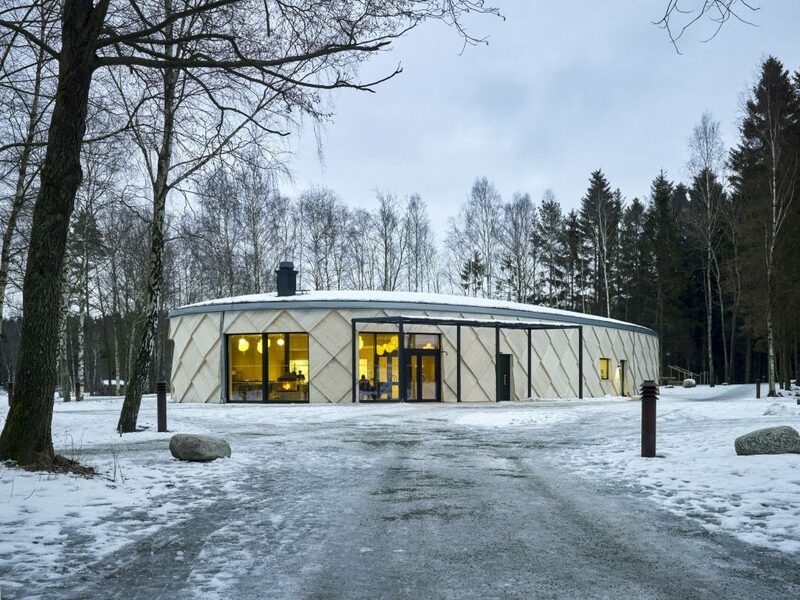 That is how involved newly qualified Christofer Ödmark got to be in the project Kotten, a sports center in the woods– a competition that landed on his desk during his internship at Tengbom’s in Gothenburg. Kotten – the Pine Cone – is in our humble opinion a real gem of a story. Not only that actually, because the mere sight of the structure in the clearing in the nature reserve Fontin is enough to give you goose bumps. The project is a happy story in many ways both because it was the winning entry from a young and promising talent in our office called Christofer Ödmark, and also because the project has become a viral success internationally and received enormous attention. Again, in our humble opinion. The story began in 2013 when Christofer Ödmark, after graduating from his studies at Chalmers, did an internship at Tengbom’s Gothenburg office. 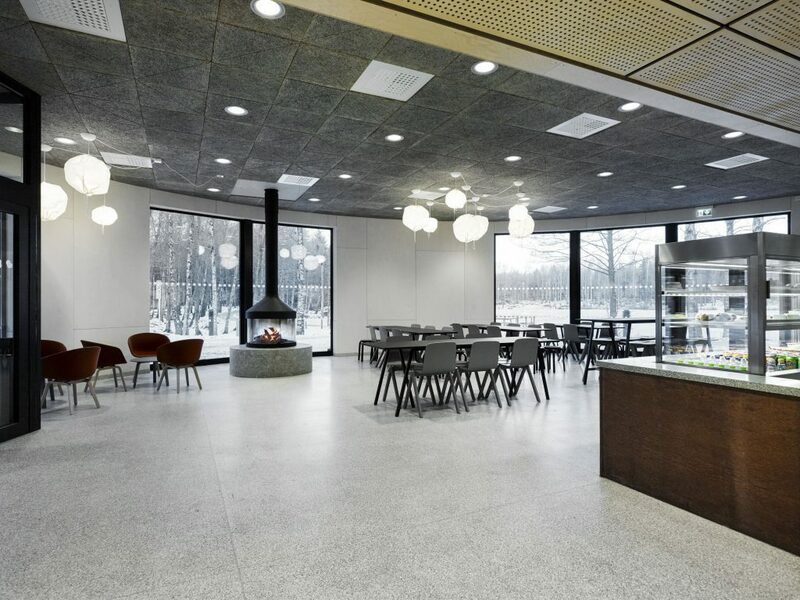 One day, a competition landed on his table – to design a new sport centre in Kungälv, since the old one was tragically destroyed in a fire. With the help of his mentor, Hans Lindgren, he was able to develop a complete proposal. 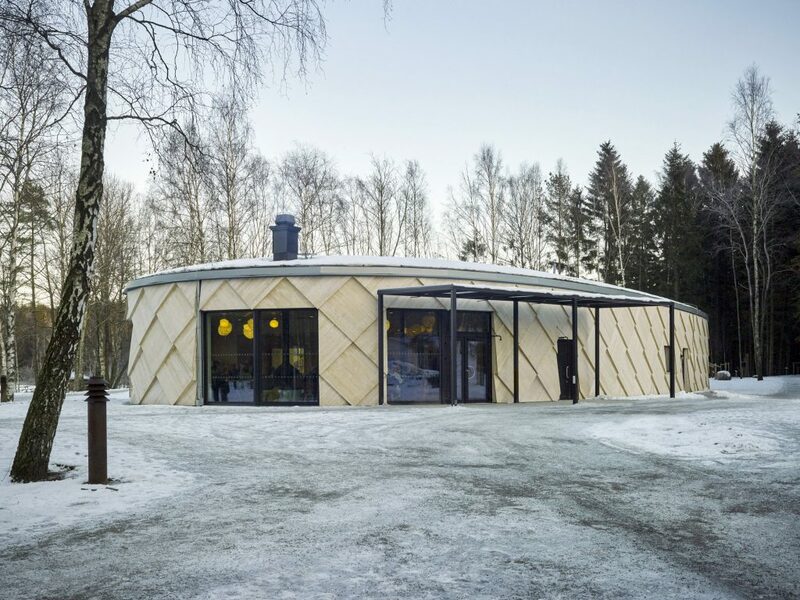 And the oval building that is built completely from organic materials – covered in wooden modules in a pattern that makes you think about a pine cone and with a roof covered with sedum – took the jury and Kungälv’s council, who had a stated preference for something out of the ordinary, with surprise. The rest is, as they say, history. ”I worked on Kotten from the very first sketch to the opening of the finished building two years later. During the project, I was given a lot of responsibility and was really able to develop as an architect in all areas from detailed design to customer relationships”, says Christofer Ödmark. 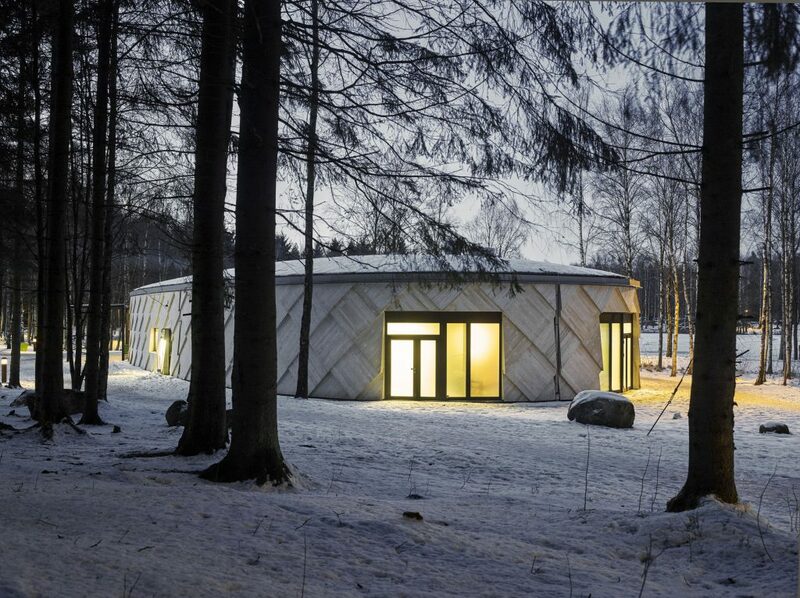 In many ways, Kotten is a classic cabin in the woods of which there are many in the Swedish countryside. A place where you can shower, have a sauna, get changed and have a cup of coffee or eat a picnic. Our ambition was to create an iconic building that would stand as a symbol for the great outdoors and exercise. Christofer Ödmark says that the competition gave him free reins even if the council wanted full control of the construction process as well as the end result. 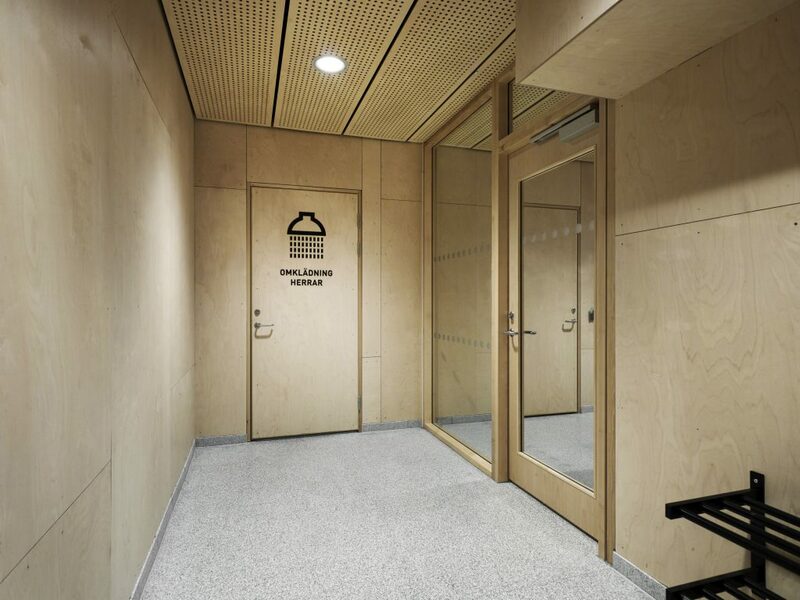 Therefore the choice was made to work with a general contractor and the one that won the tender was the local construction company Ängegärde Bygg with 23 employees. The lowest price was the deciding factor during the bidding process. “Yes! we thought when we won the bid. It is fun to create a monument that even my grandchildren will get to see. This has been really important to us. We come from the area so this sports centre belongs to us as much as it belongs to the other members of the community”, says Stefan Johansson who is a partner in Ängegärde Bygg to Byggindustrin in the article Kotten was created by a young, untried fountain of ideas (3 Feb 2016). 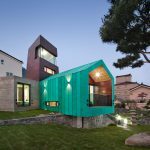 ”Sometimes, as an architect, you pass on a job to somebody else and then things happen along the way that turns it into something completely different from what you had in mind. That wasn’t the case here. All parties involved have kept the lines of communication open during the entire construction period”, says Hans Lindgren at Tengbom in the same article. And if you look back on the proposal that we presented in the competition a few years ago, the result is strikingly similar. One small change that was maybe even for the better is that in consultation with all involved, it was decided that a vaulted roof would simplify the installation and at the same time, improve the shape of the building. An oval building is not something you see very often and therefore it became something of a riddle to solve. Kotten’s façade is covered in approx. 170 ‘scales’ made from wood. They are produced in modules and made on site. The construction was possible thanks to the fact that Tengbom developed a model to make the modules, which Ängegärde Bygg later installed in a way that makes the building appear oval to the eye. In fact, it is a 50-sided shape. Even the rafters were designed individually to suit the unique form of the house. Ecological thinking has been a constant during the work on Kotten. 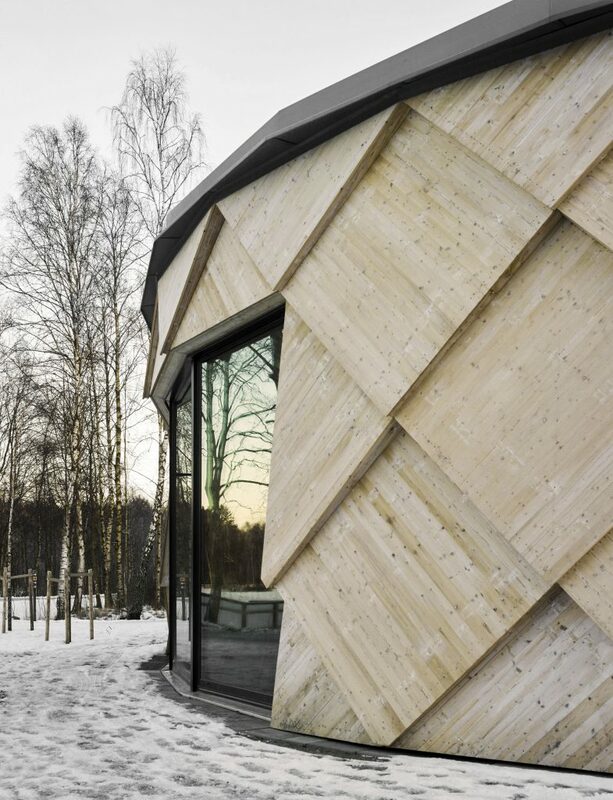 The overall material is wood, with an outer façade of pine and interior linings made from birch plywood. 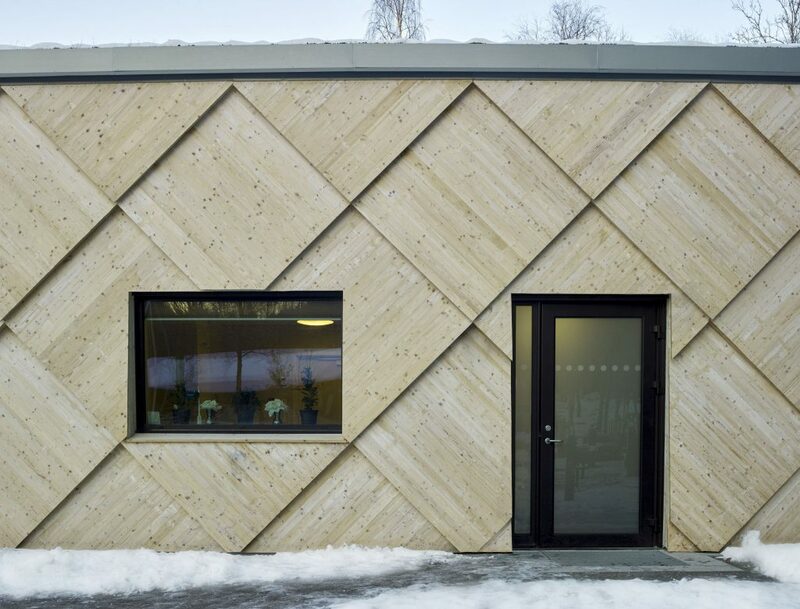 The façade material OrganoWood is a silicon-treated lumber that does not emit any hazardous chemicals, but still allows the wood to age and become grey naturally. 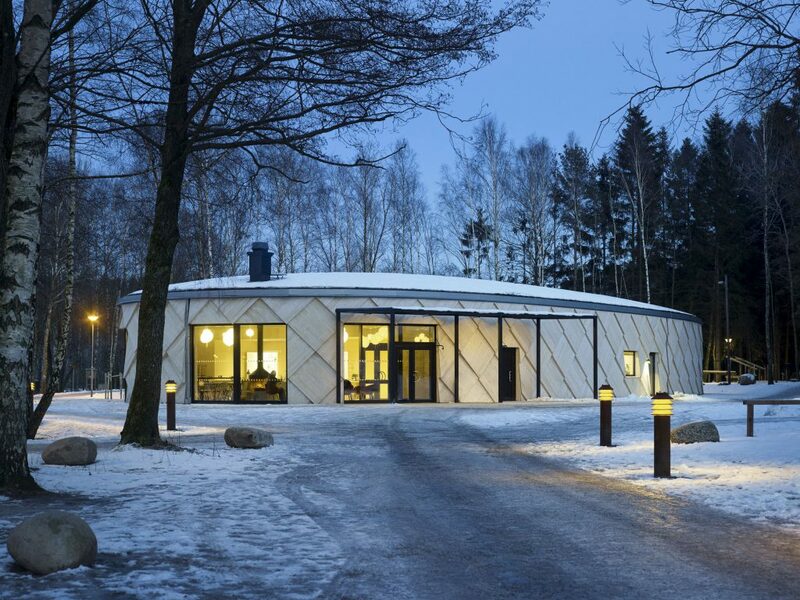 The price tag was a factor throughout the process but Kotten is a proud example of how to build in an environmentally friendly and sustainable way with lots of character without the costs sky-rocketing. The total budget for Kotten was 23 million kronor. Kotten is also the result of a successful local partnership with no less than 90 percent local partners. 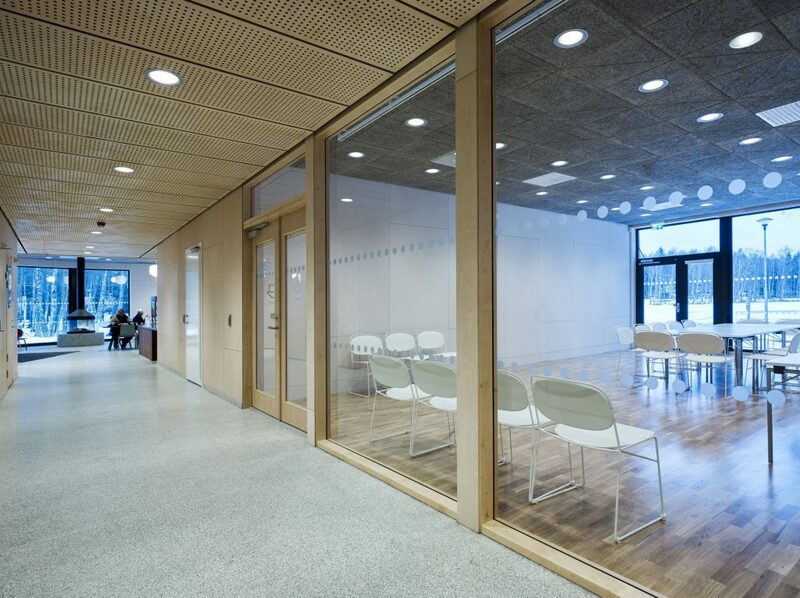 ”The partnership with Ängegärde Bygg has met all the criteria we have as architects. We kept in contact continuously during the entire process and it is clear that they have made a real effort to achieve our common vision”, says Christofer Ödmark. Tengbom’s landscape architects have also been involved in the process, both in order to achieve as environmentally friendly a construction as possible where very few trees were felled in the area and also in the design of the landscape around Kotten. In that space, we have designed a playground, an outdoor gym and a swimming dock. The Kungälv people have finally got their much awaited sports centre and it is yet again full steam ahead for all outdoor fanatics, young families and retired people to enjoy the nature around Svante Mosse. A proof of our appreciation was an opening party around Lucia time that attracted a very large and engaged group of people. The cherry on the cake is that Kotten was nominated for the Building of the Year, Årets Bygge 2016, something that both Christofer Ödmark and the rest of us feel proud and honoured about. How much do we see of you in Kotten? “For me, it is important to be honest both in shape and in material. I have never understood things that are unnecessarily complicated. The geometry of the façade seems complicated but it has a rational system. Even if Kotten is based on my design ideas, more than 10 people at the office have been involved and together we have created the building”, says Christofer Ödmark.